Stampin' Up! Whitewash Coloring Secret Garden Tutorial! Good morning! Happy Saturday! Hope you do some fun stamping today! I am going to be stamping with Krystal and her friends today! yay! Just want to share this fun project from my final Punch/Technique Class for this Stampin' Up! Catalog year using the Whitewash Coloring Technique with the Secret Garden stamp set & framelits and the Elegant Bouquet Embossing Folder (which will soon be retiring). We embossed the Basic Black cardstock with the Elegant Bouquet folder and the Big Shot, then sponged the raised areas with Whisper White Craft ink to make them pop! The Happiest Birthday greeting is from the Apothecary Art stamp set, and the cut-out flower images are from Secret Garden! The inside is simply white heat embossed with the verse from the soon-to-be-retired set, You Are Loved, as well as the same flower images as the front! Here's a mini-tutorial of how to do the "whitewashing" technique! 1. Stamp image with Versamark ink on solid-color cardstock (Crumb Cake for this project). Heat Emboss with White Embossing Powder and Heat Tool. 2.Squeeze closed Whisper White Craft Pad to deposit ink in lid. Open pad. Pick up ink from lid with a wet AquaPainter. “Wash” color over embossed image. Allow to air-dry or dry with Heat Tool. 3.Squeeze lid of a Classic inkpad color of choice (Midnight Muse and Primrose Petals for this project). Open pad. Pick up ink from lid with Blender Pen. Apply ink to “white-washed” areas as desired. Add more intense ink color with matching Stampin’ Write Marker. These images were cut out with the Secret Garden Framelit Dies and the Big Shot. There you have it! Give Whitewash Coloring a try and let me know what you think! Gotta go! Krystal's workshop awaits! While at the San Antonio Regional held immediately after Leadership, I had the opportunity to see some very talented demos "strut their stuff" at the Demonstration Booths. Stampin' Up! asks Demonstrators who will be attending their events to apply to show a technique or new idea using Stampin' Up! products. I hope to share several of those ideas with you soon, but for now I need to show you the one I have put into action, a Valentine Mobile made with the new Heart Framelits, Silver and Red Glimmer Paper, and Cherry Cobbler Baker's Twine! Isn't it a beauty? Unfortunately, even though I took notes and pictures of this project, I failed to record the Demonstrators name who presented this project! My bad! If you DO know the name of the pretty lady who shared this, PLEASE let me know! This project was one of my FREE Big Shot Class projects this month. Do you know what that means? It means I have a tutorial for you! 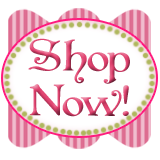 There is a supply list included in the tutorial, so you can go to my webisit to purchase any Stampin' Up! supplies you may need, as long as you do not currently have a relationship with a local Stampin' Up! Demonstrator. If you order right away you should receive your order in time to get your mobile made for Valentine's Day! At Last, the Much Anticipated Tutorial for the Pop-up Card! Please let me know if you have any questions, I would love your feedback and would love for those of you who make this card from my tutorial instructions to comment and put a link to a picture of your creation in the comment section. I do not want to take business away from another demonstrator, so please order from your Demo if you have one! See you tomorrow for another "Stampingrox!" Day!